James R and his Roadmaster Scorcher are scorching a path of irrefutable style between his home and work. If everyone could look this good while commuting we could have completely avoided the whole Interstate Highway System! This is my Roadmaster Scorcher, I’m not sure of the year, but I believe its circa 1985. 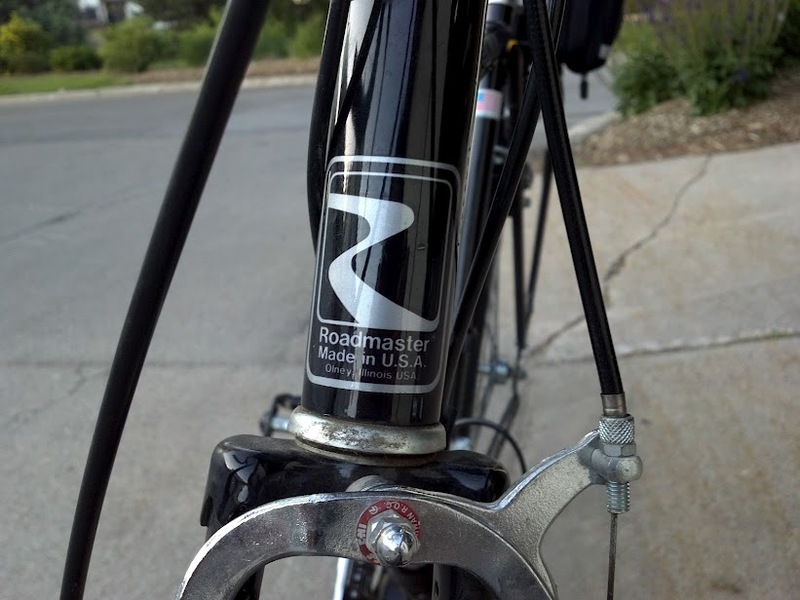 I know Roadmaster isn’t a high end brand by any means, but it only cost me $40 and it’s in perfect working condition, has no rust on it, and the tires are in great condition. Its got a steel lugged frame and Falcon derailleurs. 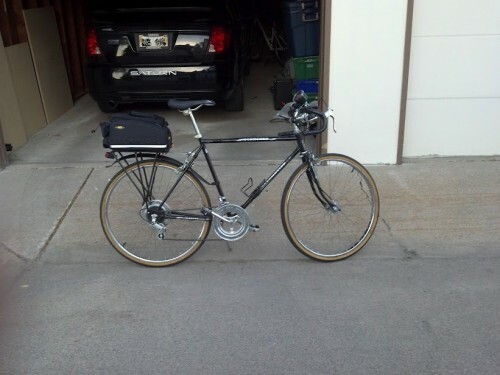 I purchased a Topeak rack, cheap plastic fenders, a Specialized saddle (the stock saddle was basically rubber over steel), and a set of lights from a local independent bike shop so I can use it as a daily commuter to and from work. 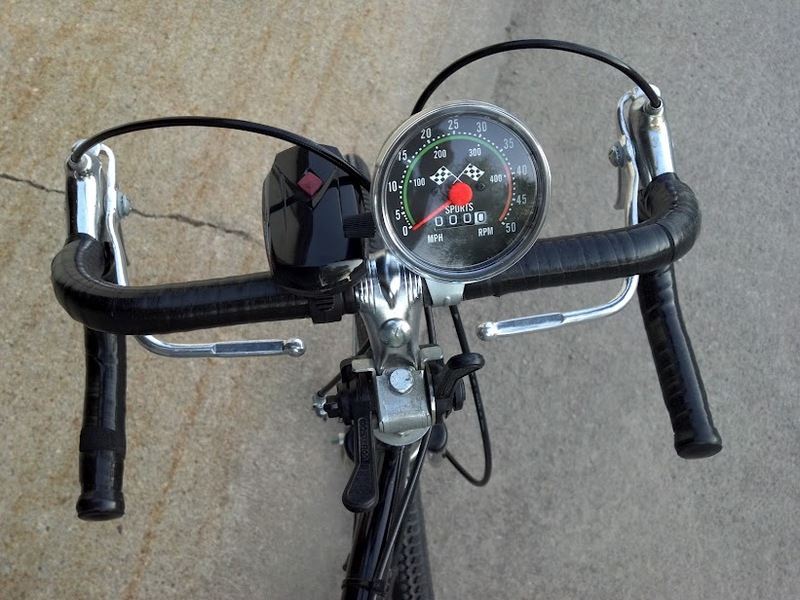 I found some vintage 80s Cello handlebar tape on eBay and an retro looking mechanical speedometer on Amazon to add to what I believe is an already great looking 80s style. I’ve put about 100 miles on it since I got it and its working great and moves along pretty good even when its fully loaded with all my work stuff. James R., it’s made in the USA, it has a nice slick-sleek black paint job, it was only $40, it takes you to and fro daily, and you basically made it your own…PRICELESS! Scorch on Friend, way to make that OTS your own, for about the price of a tank of gas! I especially love the Chrysler building inspired stem- very Art Deco. You have a sharp set of eyes, Ryan. Those are some very art deco flourishes on the stem. Yes, you do have a sharp set of eyeys, this is my own bike and I didn’t even really make that connection, but it does have an Art Deco flare. Thanks for the compliments guys. I didn’t think that anyone else would enjoy my bike. 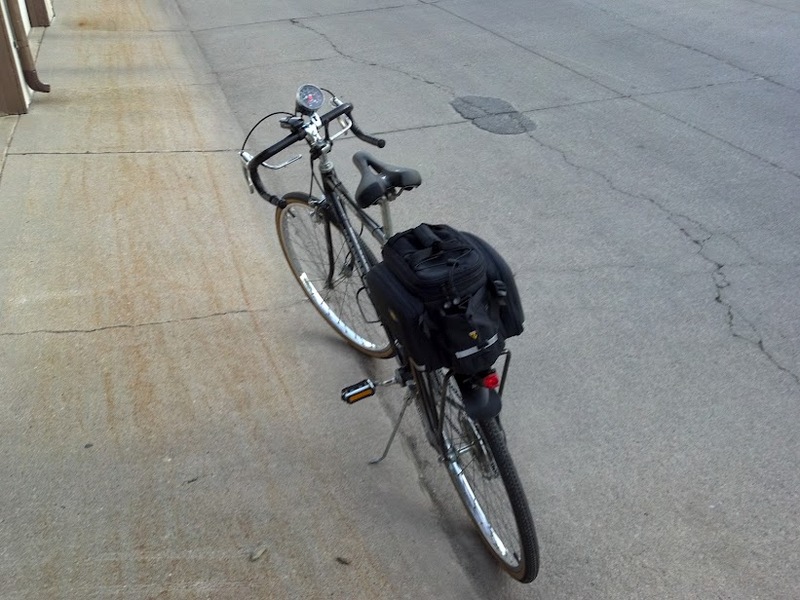 I’ve since replaced the chain and it moves along the hills of Omaha even smoother now. Did you replace the entire seat and seat post or just the seat? How did you find the correct sized seat clamp? 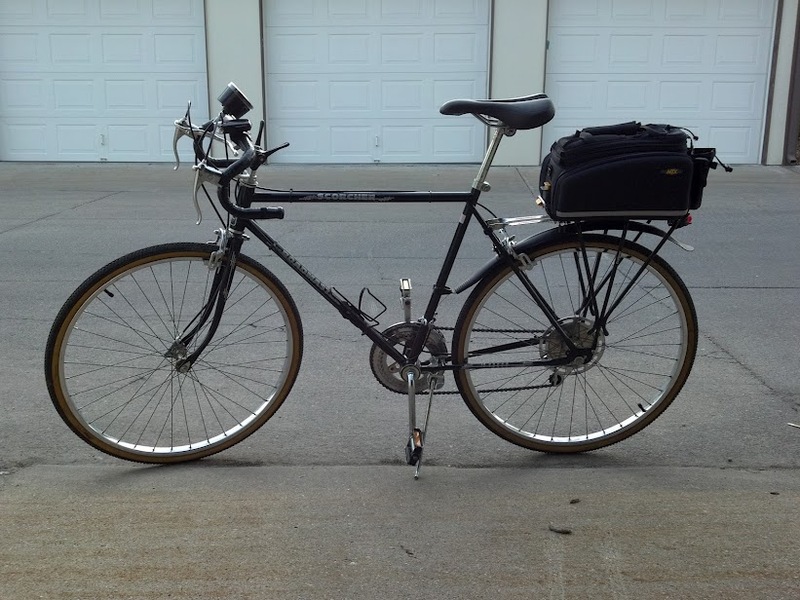 I have a 1985 Roadmaster Scorcher myself and bought a Cloud-9 gel-filled cruiser style seat with post and just switched out the old seat and post that came with the bike. Did you do anything special to get the saddle to fit the seat tube?